We all love The Legend of Zelda. This year’s Nintendo showcase at E3 showed that they are going to give us even more Zelda to love, with new DLC packs for Breath of the Wild. As awesome as that is for people who have Switches and want more Zelda, it does little for someone like me, a graduate student trying to pay for a wedding, who really wants to get a Switch but needs more than a 300 dollar Zelda machine. I need a console that offers me games and accessibility that my computer doesn’t — especially since after Microsoft’s presentation, it seems I can play all their exclusives sans Xbox as long as I have an account. From when my fiancé and I started dating, some eight years ago, until about two years ago, we used to bring our DSes with us wherever we went. We also lived with my family for quite a while during that time, so whenever we all went out to dinner, which was often because my mom hates cooking, it’d be us and my two kid brothers playing Mario Party together while waiting for the ginger dumplings. In the car for a road trip vacation, in the lines at theme parks, in the dim light of the movie theatre before the previews started, the four of us were on our DSes playing together. I loved the closeness of being able to play games together no matter where we were. The direction that Nintendo is taking the Switch offers that same kind mobile gaming, but on a much larger scale. With the DSes, each sibling had to get their own system, and then we would debate who got to “own” the game if we were buying it to play together. If someone forgot their DS at home or let it die, a series of groans and insults would commence. While those troubles will undoubtedly arise with the Switch, the idea of have one console on which your family and friends can play on while sitting on the grass waiting for Fourth of July fireworks is pretty frickin’ awesome. I love Splatoon, but was always annoyed that I couldn’t really play with any of my friends. It was the only video game my friend Rose played, but it was impossible to get into a game with her. We ended up doing a messed up version of a LAN party, just participating in a Splatfest with two TVs next to each other. Splatoon 2 not only seems to offer more stable servers, but the ability to play some modes locally. Personally, I think the new Salmon Run mode would be perfect if I could play it with my fiancé and brothers. It seems like all their new major titles have a both online and local play, which is essential, because having a mobile console that can only be played with people if you have a decent internet connect is asking a lot. The current game selection is slim; remember the whole 300 dollar Zelda machine complaint? Yes, they teased at Metroid 4 and said a Pokémon RPG is in development, but until I see a hard release date, those are just empty promises. Although, between you, me, and Mayor Pauline, I think the world layout of Super Mario Odyssey is going to be a pretty good glimpse at how they’re going to approach the new Pokémon RPG. A full open world concept like Breath of the Wild feels a little too lofty to hope for, but fully fleshed out cities and trails seems like a perfect fit. Arms will release in time to play with your friends and family during the day-long BBQ and fireworks celebration. However, if you’re not as patriotic to the great U S of A as I am coming off, you might as well wait for the holidays. Title releases have been spaced out, giving us one major title release each month with Super Mario Odyssey set for October 27. 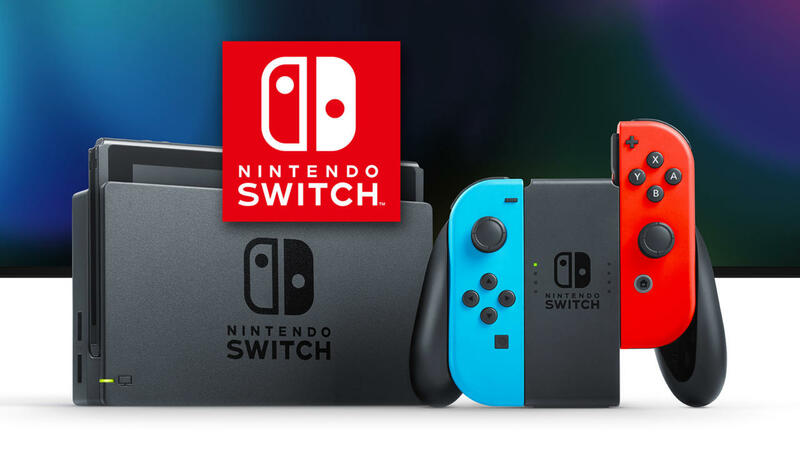 As excited as I am for Splatoon 2, I think I’m going to invest in the Switch once my budget balances out after my wedding, then make it a Nintendo Christmas.